7 marathons in 7 continents for charity. Ms Yvonne Chee's feat. | JustRunLah! 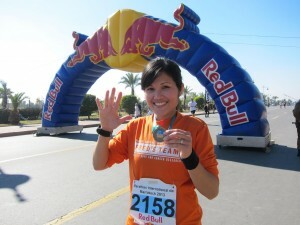 7 marathons in 7 continents for charity: Ms Yvonne Chee’s amazing feat. 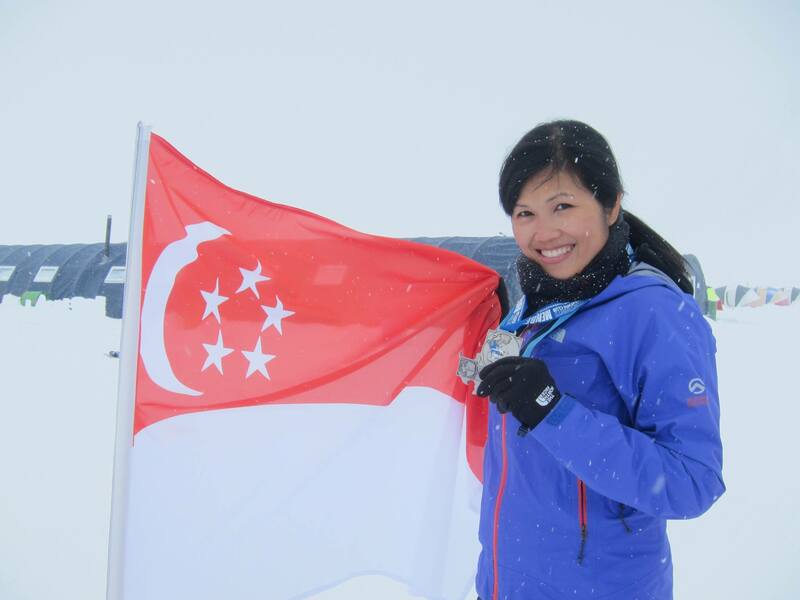 It’s been one month since Singapore’s own Ms Yvonne Chee was completing Antarctic Ice Marathon, an extremely challenging off-road marathon, held on 20 November 2013 in 6hrs 34mins. This marked the final leg of her self-funded Seven Marathons and Seven Continents drive to raise money for charity. That was it! 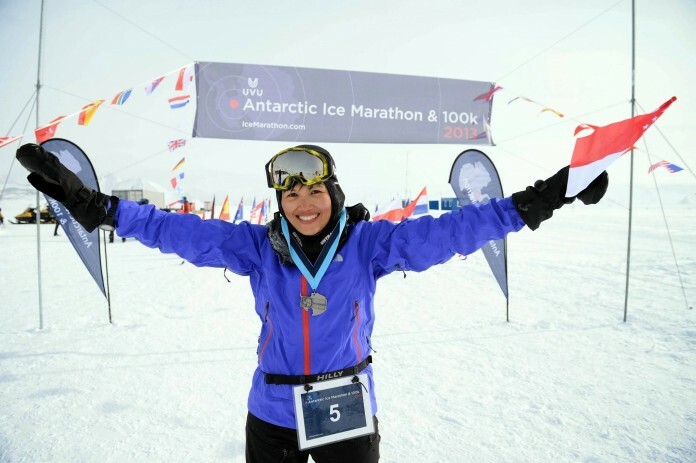 Working hard and juggling personal and professional commitments to train, she managed to first complete marathons in four continents: Europe, North America, Asia and Australia. 2013 was the year that she successfully attempted to complete her “journey” by running the three remaining continents: Africa, South America, and last but certainly not the least, Antarctica. Yvonne was inspired by her late-grandmother, to whom she dedicated this effort. “Without her, I would not be who I am today. Therefore I strongly believe that we have a lot to learn from our elders and that older folks deserve to have a good quality of life. As such, I have committed to raise funds for the Tsao Foundation. Through my own little way, I hope to make a difference for the elderly.”, she quotes. Only another two Singaporeans, Dr William Tan (in 2007) and Ms Gloria Lau (in 2012) have managed the feat of running seven marathons on seven continents and have joined the -rather exclusive- Seven Continents Marathon Club. 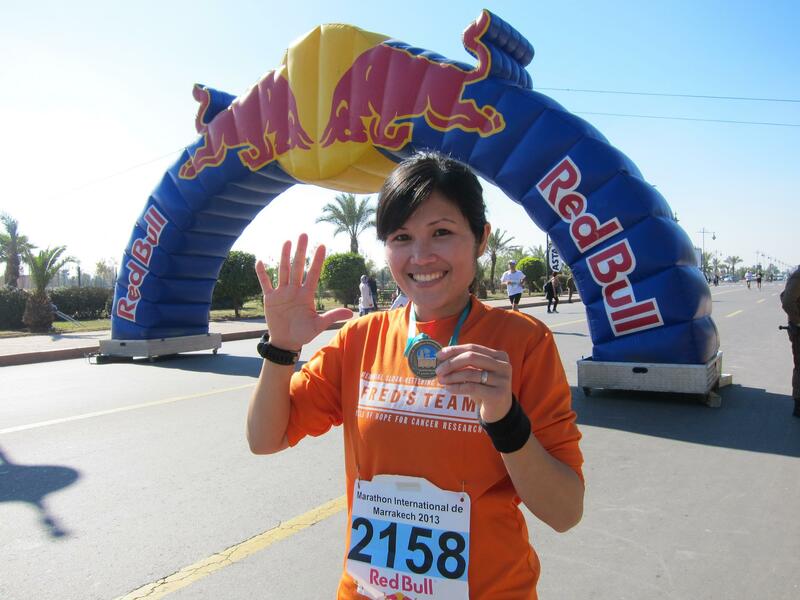 The public can make donations to support Ms Chee’s effort to raise funds for the Tsao Foundation via her website at: www.yvonne7marathons7continents.com. When donating please follow the simple instructions listed to facilitate the tracking of funds. In Yvonnes’ words, “Running gives freedom. When you run you can determine your own tempo. You can choose your own course and think whatever you want. Nobody tells you what to do.”. We couldn’t agree more, and we want to congratulate you once again on your amazing running journey for a good cause. Last leg of an amazing journey completed. Yvonne posing with the Singaporean flag and her Antarctic Ice Marathon medal. That’s one tough lady, respect!